Within the development of the Australian National Curriculum, a series of general capabilities have been outlined. These general capabilities are key dimensions in the Australian Curriculum and play a vital role in supporting young people to become successful, well-rounded learners and citizens. A focus of the newly developed Australian National curriculum is personal and social capabilities. 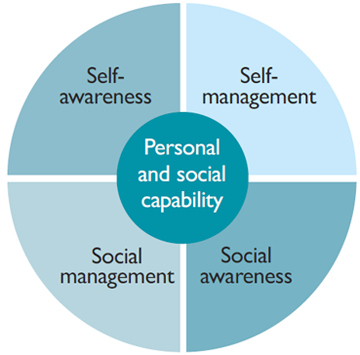 These personal and social capabilities centre on students developing an understanding of themselves and others, and learning to manage their relationships and wellbeing in an effective manner. Social management: interacting effectively and respectfully with others. As students develop skills in these areas, it also enhances their skills in other areas, playing a vital role in overall educational success. In our endeavours to embed KooLKIDS within the curriculum, we have mapped out each module in a table to indicate how the activities and skills within each module fit into personal and social capabilities set by ACARA.